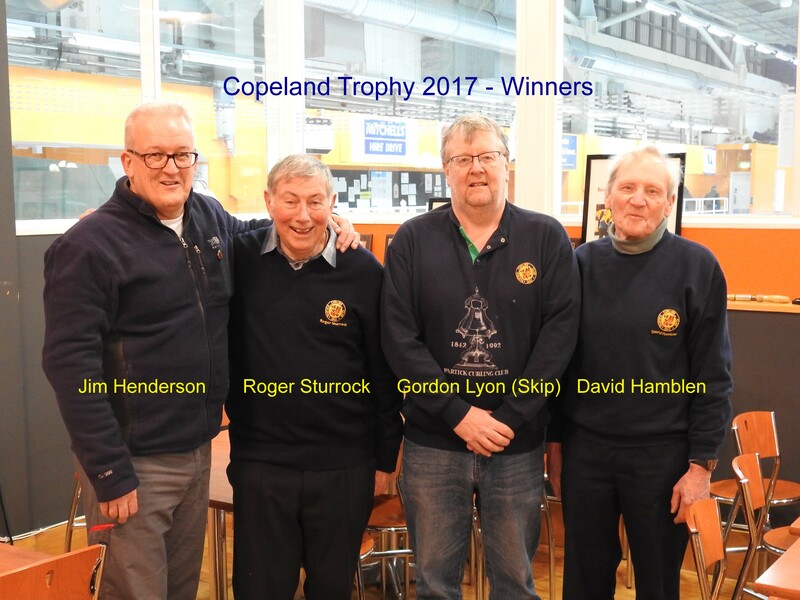 Congratulations to Gordon's rink, represented by Gordon, David, Roger and Jim on thier victory in the Copeland cup. Could not be a closer game with Gordon's team converting a one shot deficit to a one shot lead in the final end following a measure to decide if they had been successful. Not a great run for us in the Allan Cup this year. Played 5, won 1, lost 4. Even in the last game against Glasgow Academicals we were in a strong position with a score line of 6-1 after the 5th end and then managed to proceed to lose a 4 then a 2 in the last two ends. Duh! Doing better in the David Duncan but not much to boast about in the Rink Championship. Maybe the spring will see Partick fire on all cylinders again. Full results are available from the competitions pages.